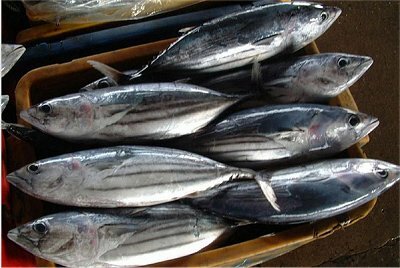 Commercial fishing for Skipjack Tuna is generally carried out from December to March by pole-and-line and purse seine vessels. 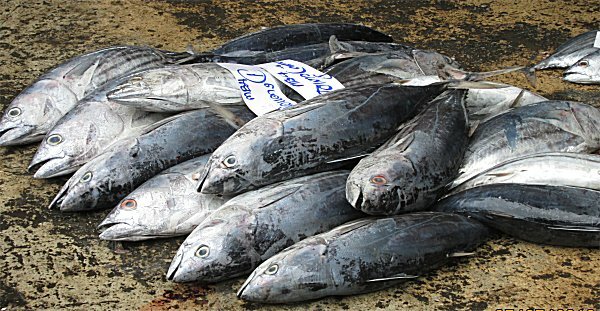 Yellowfin and albacore tuna are taken as a bycatch of both fishing methods. The Skipjack Tuna Fishery comprises two sub-fisheries, the Western and Eastern Skipjack Tuna Fisheries. The fishery as a whole extends throughout the Australian Fishing Zone, including waters surrounding Norfolk, Christmas and Cocos (Keeling) Islands. The fishery encompasses areas of the Western Tuna and Billfish Fishery (WTBF) and the Eastern Tuna and Billfish Fishery (ETBF), with an exception of an area of the ETBF off northern Queensland. Although skipjack tuna occurs throughout most of the Australian Fishing Zone, the main historical fishing grounds in Australia have been in the south east and in the Great Australian Bight. However, with canneries now closed in both Eden and Port Lincoln, vessels are no longer actively targeting skipjack tuna from these ports. Take of bigeye tuna and yellowfin tuna as a by-catch is limited to 2% of the total weight of a vessel’s seasonal skipjack tuna catch. The principal method used to commercially take skipjack tuna is purse seine fishing, where a large net towed by a vessel is used to encircle surface schools of pelagic fish. A small part of the total effort is undertaken using pole and line fishing, where fish are captured individually using short poles with a line and baited barbless hook or lure. The Australian Fishing Zone is at the edge of the range of skipjack tuna, availability of the species is highly variable. In 2010, no vessels were active in the Skipjack Tuna Fishery. A combined total of 3 620 kg of skipjack tuna was taken in 2010 in other commercial Australian fisheries, primarily in the Eastern Tuna and Billfish Fishery.